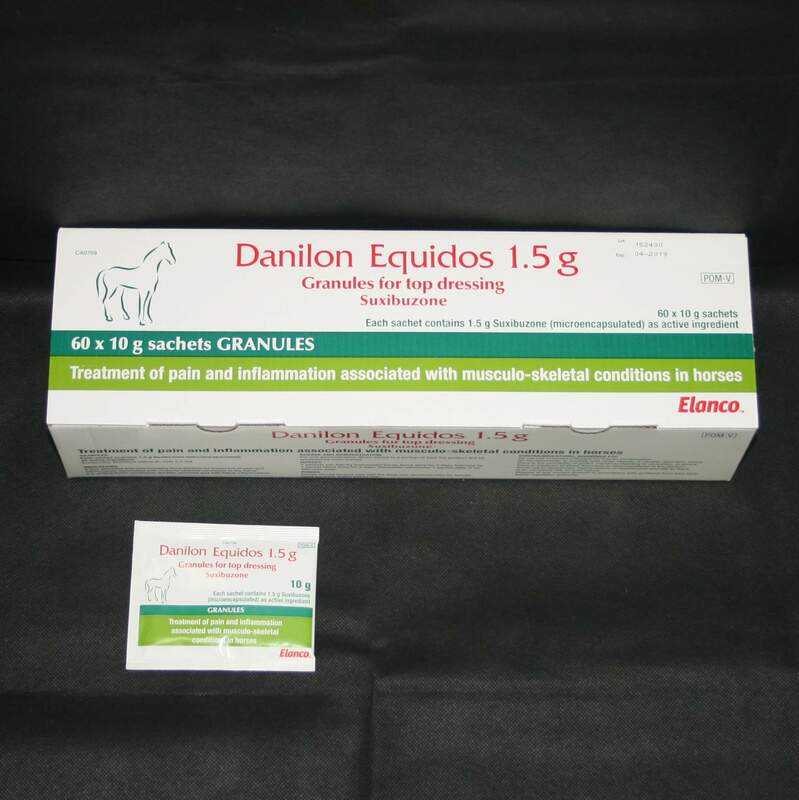 Danilon Equidos is an oral non-steroidal anti-inflammatory drug (NSAID), licensed to treat pain & inflammation associated with musculoskeletal conditions in the horse eg. 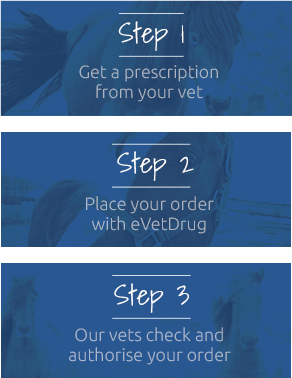 arthritis, bursitis, laminitis & soft tissue inflammation. Danilon is also an antipyretic (lowers fevers), with low ulcerogenic potential (low risk of gastric ulcers). It works by inhibiting the body from synthesising prostaglandins, which facilitate pain & trigger inflammatory processes & pyrogens (substances which cause a fever). Warnings & Contraindications- Do not give to horses with known hypersensitivity to Phenylbutazone. Do not give to horses with heart, liver or kidney disease; gastric ulceration or blood disorders. Do not give within 24 hours of giving another NSAID or corticosteroid. Please contact your vet or our customer care team if you are unsure. Passport Requirements- This medication cannot be used in horses intended for human consumption. Your vet must have signed Section IX of your horse's passport (or Section 2 for passports issued after 1st January 2016).